EpEternal Rejuvenation Cream Review (2018): Is It Worth Buying? EpEternal Rejuvenation Cream Review: Should You Buy This Anti-Aging-Cream? 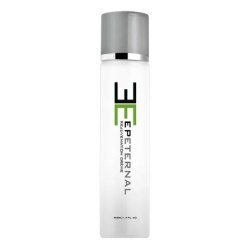 EpEternal Rejuvenation anti-aging cream, US $79.95 for a bottle, is a youth enhancing cream that boasts of a proprietary complex that resembles the vernix caseosa, a fluid that accompanies child birth. About EpEternal Rejuvenation Cream — Does It Really Work? This product is formulated and distributed by EpEternal Company, a skin care outfit that holds its headquarters in the United States. The company was founded by Dr. Maurice Baker, a male medical professional who practiced family medicine as a career. In creating EpEternal, Dr. Baker was inspired by the vernix caseosa, a fluid that accompanied a child’s birth which, together with Rubiton Medical, his company sought to recreate. EpEternal is formulated with the recreated version of vernix as the key ingredient. Significantly boosts your skin’s moisture content, effectively and efficiently restoring your skin’s round-the-clock hydration functions. Enhance your skin’s natural glow while also supporting the lightening of hyper pigmented patches. Provide your skin with better protection from dryness, intrinsic and extrinsic damaging factors, including stress, free radicals, and pollution. Support your skin’s natural mechanisms for repair and rejuvenation. 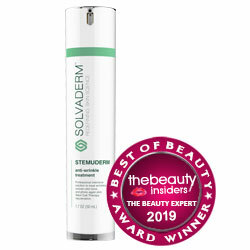 Over time, deliver a more youthful state of skin health and younger appearance. What Are The Ingredients In Epeternal Rejuvenation Cream? Vernix caseosa Complex: A synthetically re-created version of the natural fluid that accompanies child birth, made with squalene and ceramides, ingredients that are rich sources of lipids, leaving skin with better oxygen circulation, a smoother texture, and a barrier layer that is better capable of keeping moisture locked in. Spent Grain Wax: Intensely conditions your skin, and also has skin soothing and calming properties that relieves your skin of various forms of irritation. Shea Butter: Deep conditions your skin, it also helps calm and heal your skin faster. Argania Spinosa Kernel Oil: Delivers deep skin moisturization and supports enhanced rates of skin repair and renewal. EpEternal Rejuvenation Cream is recommended to be incorporated as part of your morning and evening skin care routines. In the morning, always layer this product with sunscreen. EpEternal Rejuvenation Cream has been guaranteed by the manufacturer to be safe for use by people who have sensitive skin types. This product contains rich amounts of lipids that considerably enhance your skin’s healing and rejuvenation functions. This product’s formula will not cause your skin to become clogged nor to build up on the surface. This product is made only from naturally sourced ingredients, and rid of toxins. The product ingredients list is not openly disclosed, making it impossible to make a full assessment of its performance and safety. Independent EpEternal Rejuvenation Cream product and user reviews are severely limited and do not provide a general picture of this product’s performance nor of actual user experiences. Does EpEternal Rejuvenation Cream Have Any Side Effects? In the absence of a full product ingredients list and in the absence of independent reviews, expect side effects to be likely when using EpEternal Rejuvenation Cream. As a precaution, perform an overnight patch test to check for any adverse reaction you may against this product’s components. Immediately discontinue product use at the sight of any form of skin irritation. EpEternal Rejuvenation Cream certainly has a newer and more exciting formula to offer. While you may be curious enough to try it out, more scientific evidence is necessary to support this product’s claims about Vernix caseosa and the formula it uses to resemble this. It is highly recommended that you closely check out the free trial offer for this product, and that you make sure to compare it with products that promise more or less the same claims. Do these before ordering your free trial.